Cell turnover is the process by which our skin produces new skin cells. They travel from the lowest layer of the epidermis to the top layer and then shed the skin. This is what keeps dead cells from building up on the skin’s surface. To help assist with the process we need to exfoliate. Exfoliation is key! As we age, exfoliation becomes more essential. 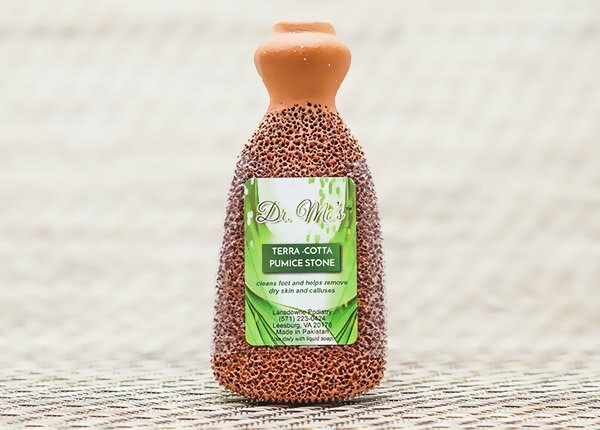 Exfoliation will eliminate clogged pores and help beneficial cosmetic ingredients penetrate the skin. The older you are, the more you need to exfoliate because skin turnover slows down. 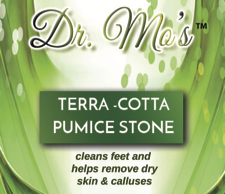 To assist you with this, Dr. Mo’s Terracotta Pumice Stone has been fire kilned so it will never become dull! It cleans feet and helps remove dry skin and calluses. After you shower and skin is soft, simply rub the dry areas with firm strokes, rinse the skin and apply cream.